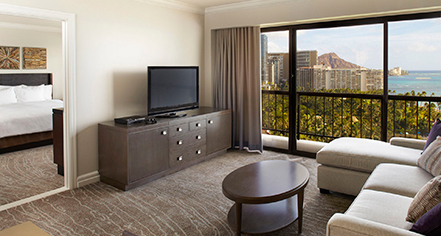 Enjoy elegantly-appointed accommodations at Hilton Hawaiian Village® Waikiki Beach Resort with a variety of guestrooms and suites to ensure the comfort and convenience of every guest. Enjoy ocean views from the Rainbow Tower, exclusive amenities in the newly-renovated Ali'i Towers, and a great location in the heart of the resort in the Village Towers. 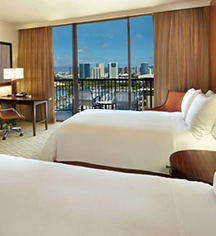 Hilton Hawaiian Village Waikiki Beach Resort, a charter member of Historic Hotels Worldwide since 2014, dates back to 1957.